Early last year, the Environmental Public Health Bill sailed through parliament. According to the new bill, businesses in Singapore that offer cleaning services are all required to be properly licensed so as this compels them to adhere to the industry standards set by the governing authorities. Continue reading to find out more of the necessary requirements a cleaning business in Singapore would have to meet in order to secure a cleaning services license. The licensing authority now makes it a requirement for all businesses offering cleaning services to be in possession of written employee contracts, provide training after a specific duration of time and put into operation the Progressive Wage Model. The Progressive Wage Model guarantees that cleaners get wages that are commensurate with skills they offer, their productivity and training. It is believed that approximately 55,000 cleaners are already benefiting from the new requirements. 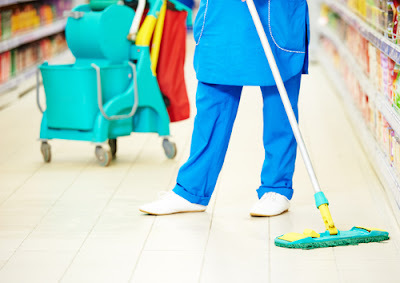 - Businesses that provide cleaning services in premises including other public places are all required to have licenses. However, there is an exception for firms that provide specialized cleaning services. - Cleaning businesses are required to register their companies with ACRA also known as The Accounting and Corporate Regulatory Authority in Singapore. Another alternative is the Registry of Societies. Apart from that, firms seeking to join this industry are expected to demonstrate some high level of experience relevant to the industry. - New start-ups can can go ahead and supply documentation that proves they have employed one or more employees who have not less than 2 years practical experience with special emphasis on supervising cleaning tasks. The documentation could also show that staff members employed at the cleaning firm have attended training modules like Environmental Cleaning or Workforce Skills Qualifications. - Even so, the labor commissioner is tasked with the responsibility of indicating the progressive wages with the recommendations of Tripartite Cluster for Cleaners. More details that can help firms seeking to offer cleaning services comply with licensing conditions under this model can be found in Annex D.
- Companies that enrolled in voluntary schemes are now required to make payment to their employees for progressive wages. Nevertheless, the wages must comply with PWM also referred to as the Progressive Wage Model as recommended by the Tripartite Clusters for Cleaners. This particular requirement is made compulsory for all companies as it levels out the play field for all players. - To get licensing, businesses in this field are required to factor in PWM when applying for tenders and new contracts. The same applies also when renewing already existing contracts. Also firms must agree to pay the resident cleaners wages that agree with PWM. For the current service contracts, businesses are expected to comply with this new regime. As a result, cleaning services businesses are encouraged to begin paying the progressive wages as indicated in the PWM. With PWM in effect, resident cleaners are now guaranteed of earning higher wages as they work towards improving their skills. Furthermore, they become more industrious and work on even more challenging responsibilities. 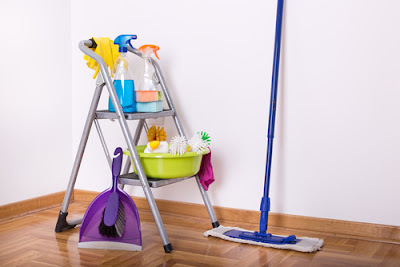 Such measures are put in place to make sure that consumers and buyers of the cleaning services get better services that also adhere to the industry standards. As a result, cleaning businesses are required to make the compulsory improvements as stipulated in the employments standards. This way, they can easily attract and keep manpower especially because the labor market currently is tight. Cleaning services businesses are expected to have more than 50% of their employees properly trained in any of the training modules under Singapore Workforce Development Agency framework during initial application for a license. During renewal of the cleaning services license, all staff members should have been trained and there is no exception to this rule. Cleaning businesses are also advised to keep on sending employees for continuous training in order to have better skilled staff members and improve overall cleaning standards. Also, this measure makes it easier for industry players to sustain the higher wages recommended by the authorities. Even though the Labor Commissioner has adopted the TCC that recommends the basic wages, licensed cleaning firms are required to submit their progressive wage plans particularly for their resident cleaners. In addition cleaning firms should specify basic wages that should not be less than the ones indicated in the PWM. The businesses in the cleaning services industry are also expected to supply their cleaners with updated payslips and employment contracts which indicate the wages they pay. The basic wages should adhere to the recommendations made in the Progressive Wage Model. To better prepare for the process of licensing new entrants into the businesses as well as the new contractors, WDA has made an effort of working with training partners to ramp up capacities for training. Funding is additionally provided to aid in training of the resident cleaners. Operating without a cleaning service licenses is a counterproductive move. Cleaning firms found operating with no license will be charged a $10,000 fine or face 12 months in prison. In some instances, offenders can be charged the fine and be imprisoned. People who buy cleaning services and choose to deal with firms that have no valid licenses are also liable to the fine mentioned and an additional $1,000 every single day for the times when the offenses are committed. Moreover, firms breaching the licensing conditions will also be charged a $5,000 fine and their licenses may be revoked or suspended. 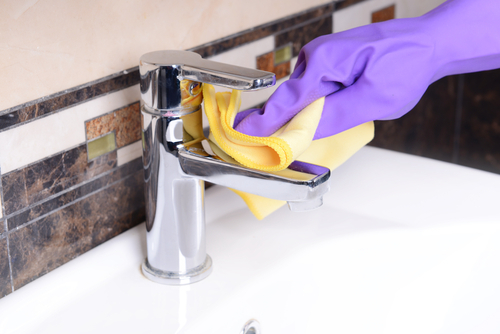 The industry of cleaning services is large and diverse. Also, it is synonymous with cheap-sourcing practices that have greatly discouraged productivity, skills and wage improvements. The high attrition rate of cleaning staff has also made it challenging to hire and retain cleaning staff. The present licensing regime gives businesses more incentive to improve productivity and industry standards. It additionally promotes professionalism and the image of this industry. To get your cleaning services license in Singapore, simply follow the tips and recommendations provided above. So, take some time and find out the precise requirements as you make the plans to venture into the cleaning services industry. Check that you comply with all the requirements prior to applying for a cleaning services license.